There are 2 other images of this object. This object has no known copyright, and as such we offer a high-resolution image of it. See our image rights statement. See more objects with the color lightgrey darkslategrey sienna grey darkgrey or see all the colors for this object. 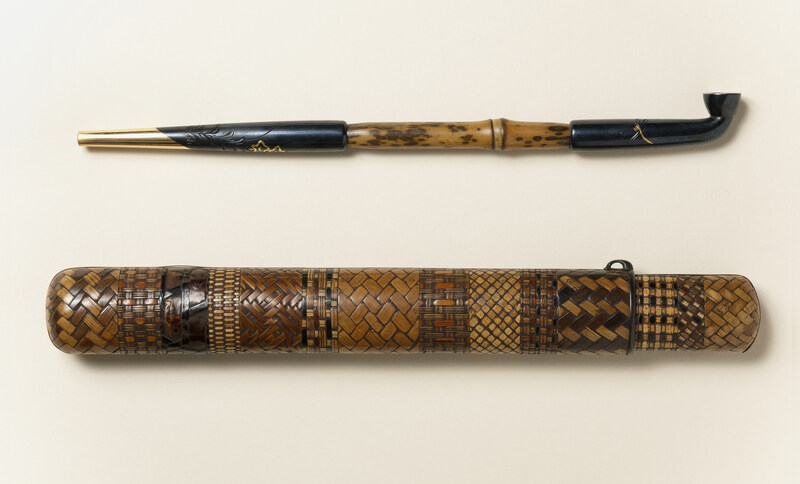 This is a Opium pipe and case. It is dated late 19th century and we acquired it in 1958. Its medium is bamboo, oxidized and gilt metal. It is a part of the Product Design and Decorative Arts department. This object was donated by Mrs. Henry J. Bernheim. It is credited Gift of Mrs. Henry J. Bernheim. This object was previously on display as a part of the exhibition	Campana Brothers Select: Works from the Permanent Collection.